JoMomma band: Sheri Roberts Greimes (Blues, Country, Folk) - Known as a soulful singer and powerhouse vocalist, Sheri Roberts Greimes is quickly becoming a favorite in the Northwest. 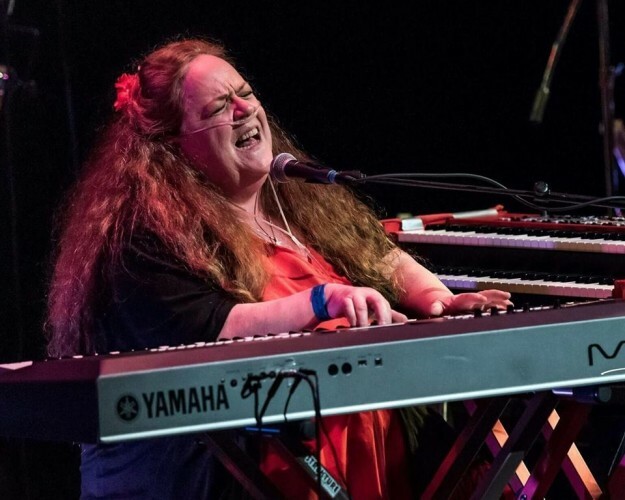 Having overcome a serious health issue in 2012, Sheri has steadily come back to the stage and is playing keyboards and singing as a solo artist in many popular venues and with her band, JoMomma for festivals and local events! She’s been keeping very busy! Booking gigs almost every week, attending jam sessions and open mics, and recording, Sheri takes everyday as a chance to share with music lovers everywhere! Offering an eclectic song-list of quirky tunes, Sheri tries to do anything she sings her way. She doesn’t do the typical “Chick” songs. A recent foray into blues has opened a new avenue of passion in her music that offers her a chance to see what she is really capable of singing and finding her own style.